The city of Laurel sits along the Patuxent River in Prince George’s County, Maryland, halfway between the cities of Baltimore and Washington, DC. Laurel Manor House Bed and Breakfast is six blocks from downtown’s Main Street, just over a mile from the I-95/MD 198 interchange, and just over a mile from the Laurel MARC train station. We are at the highest point in the city, and on the edge of wooded areas. 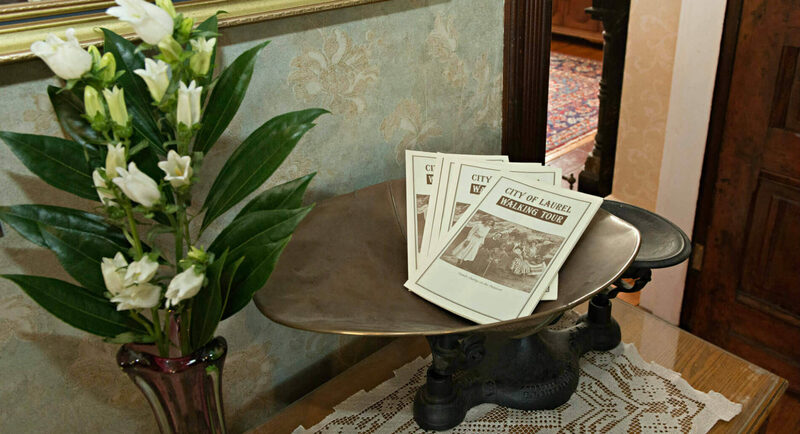 Although our lodging accommodations are conveniently located, you will escape the bustle of the city. The University of Maryland, the state’s flagship university in College Park, is only ten miles south of Laurel. Washington, DC, is 20 miles south of Laurel. The nation’s capital features many free museums and monuments. On weekdays it is best to take public transportation, as a downtown parking spot can be hard to find at the popular tourist attractions. The Greenbelt Metro station is 12 miles away. Drive and park at the station or catch the Metro bus three blocks from Laurel Manor House. The MARC train will also get you into DC. Baltimore is 21 miles north of Laurel. Visit Fort McHenry where the original Star Spangled Banner flew during the War of 1812, enjoy a day at the amazing National Aquarium, or experience hands-on science at the Maryland Science Center. The Maryland state capital, Annapolis, is 25 miles to the east of Laurel. There you will find the US Naval Academy and a historic downtown area dating to colonial times. If you are looking for lunch or dinner, there are several local restaurants on and near Main Street, some within walking distance. In addition to the shops and restaurants on Main Street, you will find a number of shops, restaurants, and a movie theater complex with reclining seats at the Towne Centre at Laurel, which is a mile south on US 1. Four miles north of Laurel is the town of Savage and Savage Mill. This old mill complex converted into a shopping mall is on the National Register of Historic Places. Here you will find unique shops, artist studios, craft galleries, banquet facilities, and dining at Rams Head Tavern. Guinness Open Gate Brewery & Barrel House – (15 miles) Tours, taproom, gift shop, and a restaurant at the only Guiness brewery in the USA. McCullough Field – (0.3 miles) Local park with fields, tennis and basketball courts. Riverfront Park – (0.5 miles) Local paved walkway and open space along the Patuxent River. 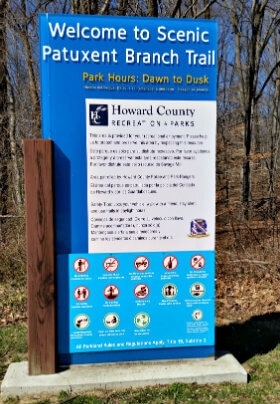 High Ridge Park – (1.5 miles) Paved trails, as well as some nice blazed hiking in the undeveloped section, along Rocky George on the Howard County side of the river. Supplee Launch – (2.0 miles) Boat launch at the reservoir (fee) with picnic tables by the lake. Dinosaur Park – (4.0 miles) Open Houses 1st and 3rd Saturdays of each month, 12 noon to 4 pm, where you can search for Cretaceous Period fossils. Terrapin Adventures – (4.0 miles) Ropes course and zip line (fee). Patuxent Wildlife Research Refuge – (5.8 miles to the north tract and 7.1 miles to south tract) Extensive hiking at both locations with a visitor center at the south tract. Gardens Ice House – (4.5 miles) This 150,000-square-foot skating facility offers open skating at select times for a small fee. In the same building, you will find the Potomac Curling Club, which offers a Saturday morning curling program for non-members. 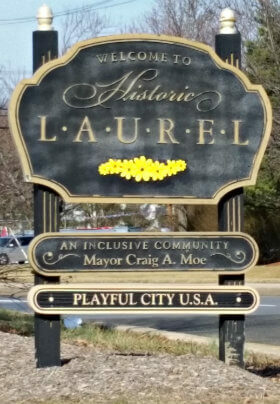 Laurel Museum – (0.5 miles) Learn about the history of Laurel, browse the gift shop, and check out the latest exhibit at this 19th century mill worker’s house. National Cryptologic Museum – (8 miles) Check out the machinery and history of coding and code breaking. NASA Goddard Space Flight Center Visitor Center – (11 miles) Goddard is NASA’s largest center, in charge of many science missions, all the weather satellites, and a number of other space missions. Montpelier Mansion – (4.5 miles) This National Historic Landmark was built in the 1780s.